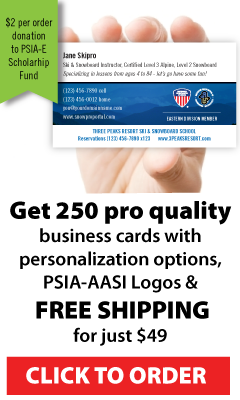 The reinstatement process was set up to provide PSIA-AASI Eastern Division former members a path to return to active membership without loss of their prior certification level. 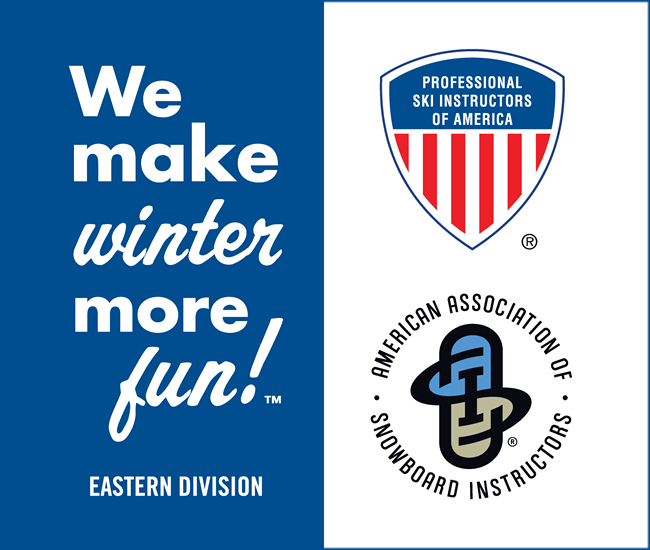 If you were a member of PSIA-AASI Eastern Division in the past, and are interested in reinstating with us, please provide us with the information below which we will use to find your membership information and history. Each reinstatement situation is unique. After receiving your information and investigating your prior membership details, we will consider your situation and make recommendations of reinstatement or possibly suggest another path as appropriate. Former members who were Certified Level I should note that it is financially advantageous to start over as a new member and take a Level I Certification Exam again. During the season, we do our best to reply to you by e-mail (or letter) as soon as we are able. If your request is made during the off season, we can reply to you more quickly with a personalized reinstatement plan. Most reinstatement plans require attendance at a 2-day event or completion of two online courses. The reinstatement process does not begin until an event application and membership dues are submitted. * No reduction in level of membership. * Pay current season’s divisional and national dues. * Pay a reinstatement fee of $100.00. * Attend one designated education event (minimum 2 days) within the current season. Note: this is not required if educational credit is current at time of reinstatement. * Pay a reinstatement fee of $200.00. * Attend 2 designated educational events (minimum 4 days). One within the current season; and the second event can be completed within the current or next season. Passing the Professional Knowledge online exam for your current certification level will satisfy one of the designated educational events. * Attend 3 designated educational events (minimum 6 days). One within the current season; and the second and third event can be completed within the current or next two seasons. Passing the Professional Knowledge online exam for your current certification level will satisfy one of the designated educational events. Call the office to see what events qualify. An event application and payment must be submitted at the time of reinstatement. Once your request has been submitted to the office, we will send you a reinstatement application with your details. This application will need to be returned with payment and an event application. Your reinstatement will be complete and your membership card will be mailed when your dues and reinstatement fees are paid, after you have attended your designated educational events. The reinstatement process was set up to provide former Eastern Division members a path to return to active membership. If you were a member of the Eastern Division in the past, and are interested in reinstating with us, please provide us with the information below which we will use to find your membership information and history. Is there any additional information about your prior membership which might be helpful? Please type this text in the form field below ... this blocks spam - thanks!